More than 60 people are packed like sardines inside and outside the shop for a "Cloud competition" - or, as it's pegged by patrons, the "X Games" of vaping. In 20 minutes, a pair of "Professional vapers" will take the stage, stand back-to-back and inhale from their vaping devices as deeply as possible. Whoever blows the bigger cloud will advance to the next round. Apparently, cloud competitions have been big in southern California for the past two years. Ameravape, one of the companies co-hosting on Friday, frequently holds competitions at its shop in San Diego. The crowd grows louder, as the competition continues. 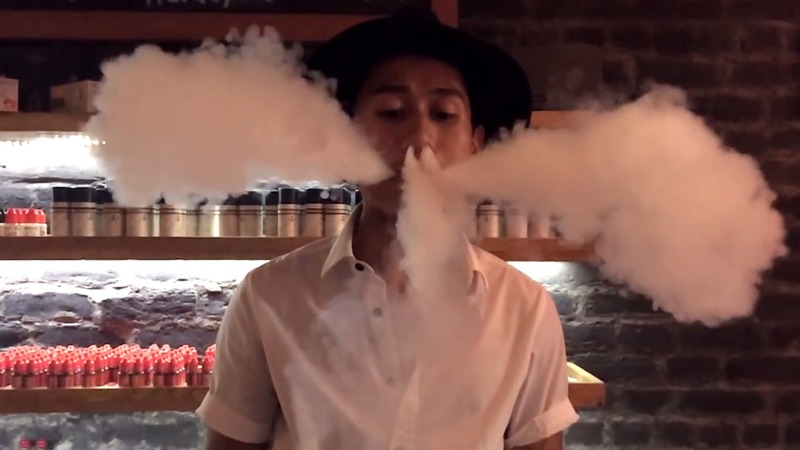 The ultimate winner, a tattoo artist from San Diego named Chris "Bud" Wilson, exhales a massive cloud not unlike the one he blew during his performance on stage. "This whole thing - traveling, meeting new people and blowing big clouds," he says with a shrug, then smiles. How Safe is iCloud and Other Cloud Services? Why Arent We Farming Octopus?